Flinders Island is the main island of the Furneaux group, a collection of 52 islands that stretch across the Bass Strait between Tasmania and mainland Australia. These remarkable ‘mountains in the sea,’ offer you the holiday experience of a lifetime. Here, you can get away from it all in an inspiring world of sparkling beaches, rugged ranges, abundant wildlife, and clear sapphire waters. 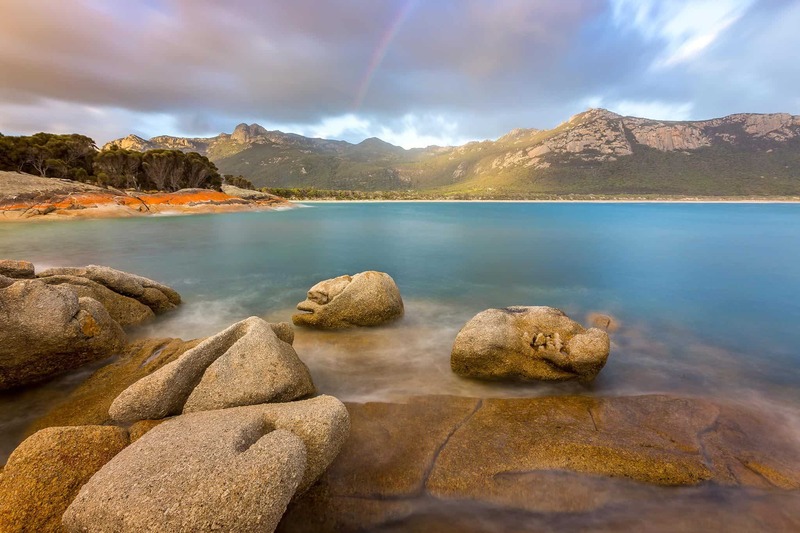 With a pleasant climate throughout the year, and activities including boating, climbing, fishing, and exploring historic sites, Flinders Island has much to offer. For fishing adventures, see flindersisland.com.au. See Flinders Island for more information, and for accommodation, see Mountain Seas on Trousers Point. A huge thank you for a truly marvellous three days. So well looked after by Tony, nothing was too much trouble, accommodation and meals first class. Amazing views of our beautiful country and a further insight into the lives of the people who live in remote places.